Is the ICO cutting corners? And pasting them? 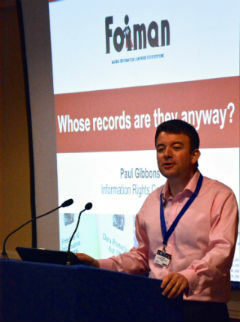 FOI Man asks if reduced resources are causing the Information Commissioner to cut corners on important FOI decisions. In legislative terms, FOI and its sidekick, the Environmental Information Regulations (EIR), are spring chickens. We’re still feeling our way through their implications, which is why, from time to time surprising things crop up. One thing that’s important to know, you’d think, is where the boundaries lie. Who is subject to the duty to answer requests and who isn’t. Recently the Royal Household was asked for information under the Environmental Information Regulations. It is quite clear that the Household is not subject to FOI, but EIR is a different beast, as the Duchy of Cornwall (run for the Duke of Cornwall’s benefit, or Prince Charles as you and I know him best) has discovered. The request was rejected on the grounds that the Household is not subject to the EIR, and as you might expect, an appeal was made to the Information Commissioner. Last week the requester received the Commissioner’s decision. It – perhaps unsurprisingly – found in favour of the Royal Household. But what is surprising is that it appears that large parts of the decision’s reasoning have been copied and pasted from Wikipedia and the Royal Household’s own website. Now I’m not going to crow about the rights and wrongs of plagiarism (though others have criticised them for this). 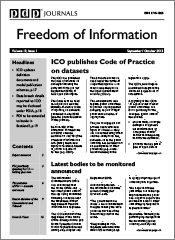 I’m sure there are FOI Officers out there who have copied chunks of the ICO’s decisions into their own FOI responses without citing them where it suited. And it’s not difficult to see how a slip up like this could be made by a junior caseworker working on a minor case where the issues are not of great potential dispute. But it does seem odd to me that on a decision as important as this, potentially establishing the boundaries of environmental information access, argument could be taken from other sources, apparently with little critical thought. And that internal quality controls didn’t pick that up. Could this be evidence of a lack of resources at the ICO potentially affecting the quality of decision making? Given recent reports that the ICO faces further significant cuts (in line, of course, with other parts of the public sector), this may be a worrying sign. Is a reply within 15 days “as soon as possible”? A local authority disclosed information requested through EIR within 15 days. But the Commissioner has ruled that they failed to answer the request “as soon as possible”, even though they answered well within 20 working days. This isn’t an April Fool’s joke, despite the date. An interesting decision notice has just been published by the Information Commissioner relating to a request made under the Environmental Information Regulations (EIR). The requester had asked for information from the Local Land Charges Register of Walsall Metropolitan Borough Council. The council had arranged access to the Register within 15 days of receipt of the request. But the Information Commissioner has ruled that this was not “as soon as possible” as required by reg.5 of the EIR, even though it was within the 20 working days maximum allowed. I can hear the hiss of the steam escaping from FOI Officers’ ears around the country right now. If the information was provided within 20 days, how can it breach regulation 5? Does this mean that we have to tell our colleagues to drop their other work as soon as an EIR or even an FOI request is received? Well, hold your horses. The Commissioner accepts that public authorities have to balance their responsibilities. Phew. The requester had also argued that the council could have responded sooner because it responded to land search enquiries, which are paid for, within three days. The Commissioner accepts the Council’s argument that there is a different process for answering EIR requests than for dealing with Land Charges enquiries and that there are good reasons why it takes less time to answer the latter. So why did the Commissioner find against the council? 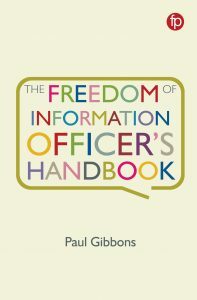 During his investigations, the Commissioner was told by the Council that one of the departments that had been asked to provide the information had accidentally deleted the email from the FOI team asking for the information. The Commissioner concludes that if that hadn’t happened, the information would have been provided sooner. Therefore, he argues, the information was not provided “as soon as possible”. Expect more decisions like this on FOI and EIR as the Information Commissioner’s Office are clearly now trying to push authorities to answer requests more promptly.